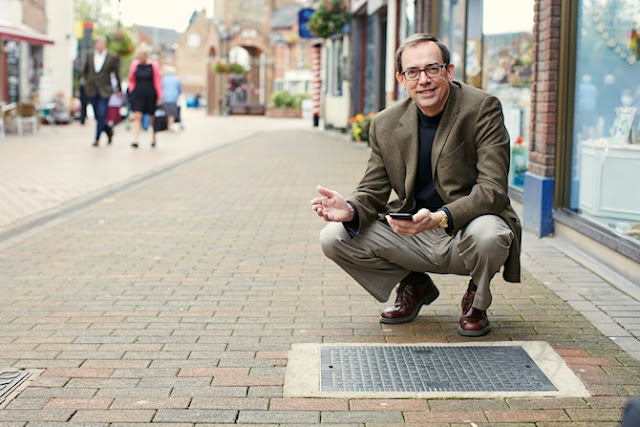 Back in October last year, Thinksmallcell reported that Vigin Media in UK is deploying WiFi in pavements. Ordinarily most operators prefer to install WiFi access points above ground, not least because it helps the 2.4GHz signal to propagate, but telecoms infrastructure owners like Virgin Media have a lot of manholes around the place that can also be used (makes it easier to tap directly into their core capacity links) and apparently this approach can still cover an area of up to 80 metres. The use of a submerged rainproof access point, which sits beneath a specially developed resin cover, is certainly a different twist on the usual deployments. Never the less Virgin Media are also using plenty of traditional access points too, which have been discreetly installed on local street furniture. Wireless antenna maker Kathrein has teamed with Ericsson and Swiss operator Swisscom to develop an in-ground antenna system that will help provide additional wireless coverage in densely populated areas. The technology, called the Kathrein Street Connect, was developed to help operators deploy additional cell sites in places where site acquisition is difficult due to zoning issues. Kathrein designed the antenna while Ericsson provided the radio. The rugged solution was designed to withstand deploying in streets with heavy vehicle traffic. Currently there are 17 sites piloting the technology in Switzerland with plans for commercial deployment in 2016, said Jim DeKoekkoek, product line manager for antennas and filters at Kathrein, in an interview with FierceInstaller. Its interesting to see that pavements and roads may become the new battleground for providing connectivity through Wi-Fi and Small Cells. There's quite a difference in the approach used between these two. Wi-Fi operates at relatively low RF power (100mW or so) which limits the range and penetration of the signal. Even using composite/plastic rather than metal manhole covers, the range of Virgin's trials will be limited. Kathrein's solution uses much higher power 5W remote radio heads and a specially designed antenna that replaces the manhole cover. This emphasises the effects of the radio head. Tests and trials have shown surprisingly long horizontal signal spread. 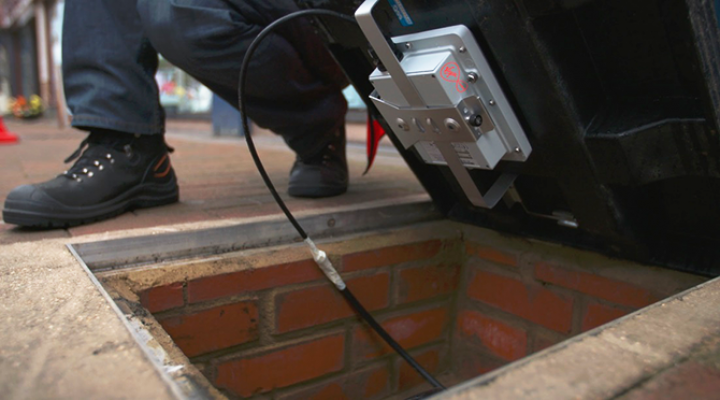 Swisscom have been testing this solution (they own 100s of manholes with fibre already in place in many Swiss cities), and both companies presented this at DAS Congress Europe last month (read our event report on ThinkSmallCell.com for more details). While there are some concerns that such high RF power directly below people's feet may not be permitted in some countries (some regulations require minimum 3 metre separation), trial results appear to be very promising and Swisscom were certainly enthusiastic about it. It does avoid planning permission, site acquisition and some site access constraints which could speed up deployment. David, thanks for the details. I agree with you. 5 watts is a lot of power to be transmitting so close to the human body. Limiting them to say the middle of the street would be a better solution. The metal would reduce the RF penetration into the vehicles and the pedestrians would be far enough away to receive a lower level. Good post. Incorporating small cells built into the infrastructure (smart cities and highways) would help offload the demands on the cellular network and make internet-on-the-go affordable for everyone. One could pay toll to the city and use Wi-Fi all day long. Or have the service built into his mobile plan. There is definitely a need for visionary planning between the service providers and the government. Another concern might be the Energy consumption vs Eco energy ? I'm looking for more details about the solution and i really want to know the results of the POC, did it work well?